Ever since Christmas, when we received a new grill from our good friends the Smalls and Nugents, we've been looking forward to our Memorial day cookout! The weather was perfect for a holiday and everyone enjoyed the smells and tastes of grilled hotdogs and hamburgers! 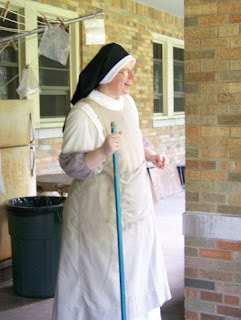 Sr. Judith Miryam is all smiles with broom in hand! "If only my mom could see me now!" 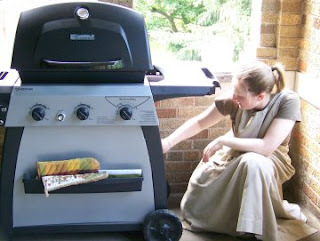 Martha cleans the pollen off the grill. Grill queen for the day! 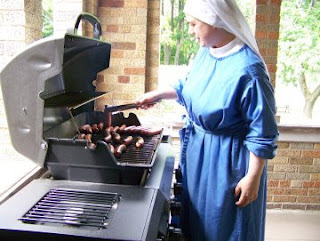 Sr. Mary Catharine cooks up some hot dogs. 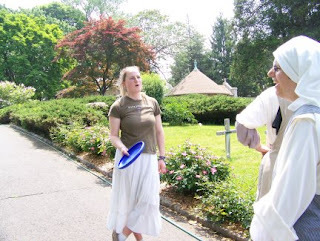 Sr. Judith Miryam, are you sure you remember how to throw this? 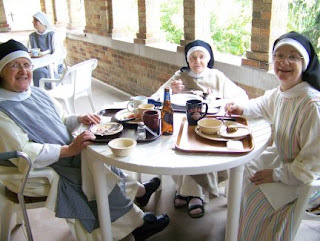 "I'm just warning you," says Sr. Mary Catharine. "Something comes in my direction and I run!" 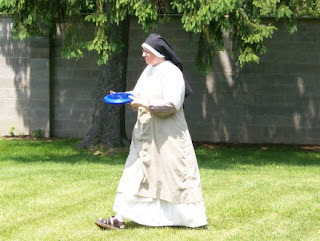 Watch it, Sr. MC, there's a frisbee coming right at you! 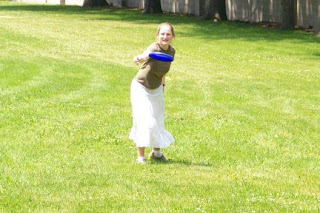 Martha, you're holding the frisbee upside down!